Jessie Munro wrote The Story of Suzanne Aubert, published in 1996, which won the 1997 Montana Book of the Year Award. She is a graduate of the University of Auckland and a former Commonwealth Scholar who has lived in Italy, Switzerland and Canada. 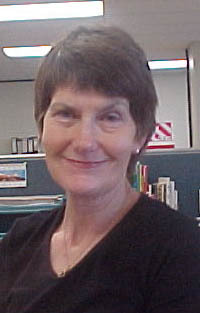 A large part of her career has been teaching French and writing resources for the Correspondence School in Wellington. In 2003, she was able to resume research into early French mission history through a Ministry of Research, Science and Technology Teacher Fellowship. She worked with Historic Places Trust on ‘Pompallier’, the original Marist mission printery and headquarters, and with the Sisters of Compassion on tracing more of the early life of Suzanne Aubert and her family. She is now working on other Aubert-linked projects, and has recently published Suzanne Aubert’s letters. The Story of Suzanne Aubert has just been published in French.